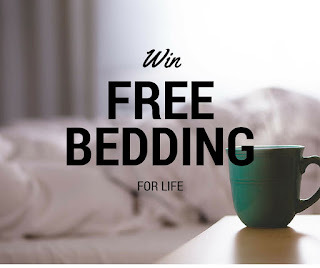 Photobrook Photography: WIN Bedding For Life Competition! WIN Bedding For Life Competition! I love my bed, I mean, I REALLY love my bed. I get a bit excited at bed time and still do a little cold dance under the covers when I first jump in. Leaving my bed in the mornings is a painful affair where I want to stay snuggled up for hours. There is nothing better than crisp fresh clean bed sheets, perfectly ironed, perfectly made, with plump pillows and a warm snugly duvet..... Well actually there is something much better and that's crisp clean Brand New bed sheets EVERY year for life!!! I have stumbled across exactly that in this fantastic competition from elinens where you can win £100 worth of bed linen every year of your life!! !